This is Dean-Peter Baker’s vision of the JEDI warrior, an ethics specialist (if you will) in the same vein as the Ranger tab holder relative to small unit leadership and combat tactics. This person would be both a Subject Matter Expert (SME) in ethics, but in addition they would be a moral exemplar who had demonstrated moral and ethical excellence in practice. A provocative and interesting proposal this is! Surely, you might say, we have JAGs and Chaplains to cover this same territory (or at least most of it)? JAG’s are legal officers that give advice on a range of legal matters (including the Uniform Code of Military Justice and the Laws of Armed Conflict and other laws relevant to waging war), but despite the military’s frequent use of ‘ethics’ to refer to rules and other legal matters, this is not what Baker (or I) have in mind when we use the term ethics. (More on that below.) Chaplains, on the other hand, are generally members of a religious/faith community of practice whose role is to provide comfort and pastoral care to the military. The appeal to chaplains also assumes that all moral and ethical matters are necessarily religious or spiritual in nature, a point that is hotly debated and would be resisted by some. One’s moral choices and ethical practices may be rooted in one’s faith tradition, but they may not be. What is ethics then? First, it is important to distinguish between ethics and morals/morality. Morals or morality consists in moral claims about what is right or wrong made by individuals, groups, institutions, societies or other communities of practice; this can include individual moral claims or ideas, but it may also include systems of morality (like those found in moral philosophy or in religious and spirituals traditions and communities of practice.) Ethics is the study and examination of these moral claims and systems including reflection, questioning, challenging, justification of and other forms of deep examination of morals and morality from a critical perspective. Ethics might ask why one holds a particular moral view or system, whether such a claim is true, how we would evaluate that claim or how such claims would be in fact justified and valid. Ethics asks questions about the grounds for moral beliefs and systems (Rationality? Emotion? Tradition? Relationship?) and what the response to moral disagreement is to be. So ethics (at least in many philosophical circles) has a meaning beyond the kinds of things that Chaplains and JAG’s (whose work is critical on its own terms) are engaged in. What is the argument for Ethics Specialists? First, ethics (as opposed to morality) does seem to be a Subject Matter Area requiring certain content mastery, skills and expertise that most persons do not have. Second, there seems to be an institutional and social need for individuals and groups to reflect upon morality, in the case of the military upon Core Values, oaths and promises that are part of the Profession of Arms, other norms and values that are part of the Profession of Arms and Just War Thinking. (We could note the role of Ethics Officers in business and Ethics Boards in research and medicine as examples of this need in other areas.) Third, SME in ethics can provide expertise and leadership in this area, but that is different from being the kind of moral exemplar Baker thinks is required. Finally, and related we need qualified people to teach and guide those who will teach and guide others, especially their subordinates whose ethical development may be part of their responsibilities. This requires the development of ethical capacities like reflection, critical thinking, empathy and moral imagination; the SME expert may not be the kind of moral exemplar that can demonstrate these capacities in practice. As this point, we might circle back to Chaplains. Some might argue that with some advanced training and education that they could take up this role. Again, consider their central role: rendering pastoral care and support. While chaplains might provide some moral advice, especially to commanders, this is within their pastoral role and arguable a secondary role to the primary concern of spiritual care for all members of the military community. Ethics necessarily involves a critical stance, often imposing or creating discomfort by asking hard questions, challenging or requiring one to step outside of one’s world view to give accurate and thorough analysis of a moral claim or system. While I agree that chaplains could (and some probably already) do this work, I think it places an unfair burden on them which may be at odds with their primary role. Further, there is the issue of whether in want to do this, we are conflating faith and ethical practices or capacities. For persons within a faith tradition or community of practice, one may inform the other, but this is not necessarily the case and there can be dangers to doing so. There are various other suggestions in addition to the enhancing of the chaplain office. One suggestion is to require an MA in Military Ethics of all military leaders in command positions, another idea is requiring a PME certification in some area of ethics (emerging technologies, Just War Thinking etc.) or further ethics education required at the Flag/General Officer (or equivalent) level. These suggestions seem to orient around the idea that the critical decisions and greatest need is higher up the chain of command. IS that true, one might wonder? There is a reasonable argument in favor Ethics Specialists in the military, both as SME and also as moral exemplars. The expertise would help with a critical and more independent stance, and the focus on specialization (as with the Ranger tab) communicates the import and value of the pursuit to others within and outside the community of practice. In addition, the idea of Ethics Specialist as moral exemplar would bring some ‘street cred’ to the position that might be missing in current discussions. With this caveat in mind, that Ethics Specialists are not a substitute for/outsourcing of moral judgment and responsibility of each individual, we can explore some options what the place for such a person might be in the military. As Teachers/Mentors/Coaches to first and foremost, support others in their own ethical development and responsibilities. Educating to help others educate and develop others and guide subordinates, which is an important element in setting the moral culture of a unit or other organizational structure – especially for those with command responsibilities. 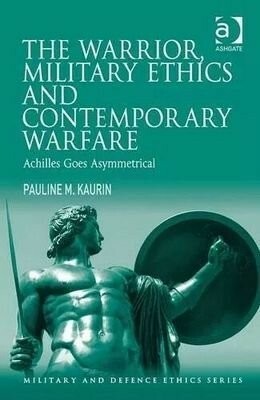 Ethical development is a critical part of the professional development for each member of the military, so Ethics Specialists may be helpful to develop and sustain moral exemplar in a rigorous and systematic way, something one could argue is missing from current models and practice. They may also serve as a recognition that is this an area of distinct need for in depth attention and development as one moves through the profession with the need increasing as one has increased responsibilities and members of the profession as operating increasingly complex and unpredictable environments. If initiative and innovation are critical to the battlefield, ethical development must be able to keep up with those. The focus on emerging technologies, cyber and different models and approaches to leadership and leader develop also suggest a recognition that different kinds of expertise are needed; it makes sense that ethical expertise and capacities are part of these things. Finally, we can consider the objection that this amounts to a certain kind of ethical elitism, that we are creating a class or group within the military who will be viewed (both in terms of expertise and their own practice) as morally superior to the rest of the military. There are two concerns here: first, that it will increase and magnify the tendency to outsourcing or deferring moral judgments to the experts, and second, that there would be few checks on the members of this group. What if corruption creeps in or they are simply wrong/blind in certain cases? This seems a similar problem to the elitism concerns that might be raised with other elite groups within the military and would likely need to be addressed alongside of those concerns. Is elitism necessarily problematic? Or is it that elitism has certain kinds of collateral effects that we want to guard against? Deane-Peter Baker, “Commentary Article: Enhancing Ethical Performance in Military Forces Through Embedded Excellence” Scientia Militaria, South African Journal of Military Studies. Volume 24,Number 2, 2014. Pp. 177-187. This entry was posted in Uncategorized on December 10, 2018 by shankskaurin.